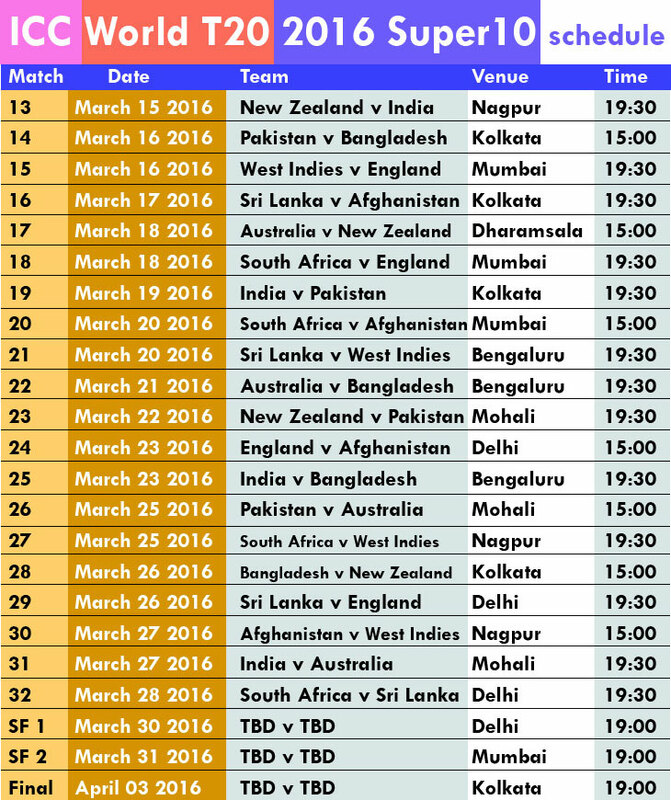 Are you looking for T20 World Cup Super 10 Match schedules and reports? 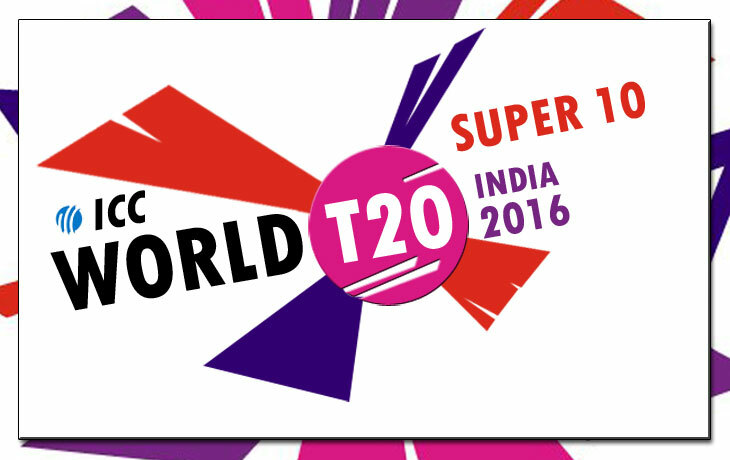 The ICC T20 World Cup 2016 Super 10 Schedule and the results are updated here. From the qualifier round, Afghanistan and Bangladesh are entered into the Super 10. The First match will begin with the New Zealand and the host nation, India at Nagpur on March 15, 2016. Most of the game get started at 19:30 IST (7:30 PM). Some other matches will starts at 15:00 IST (3:00 PM). The Semi-Finals and Final matches will starts at 19:00 IST (7:00 PM). Stay tuned for more updates on ICC T20 World 2016 results.